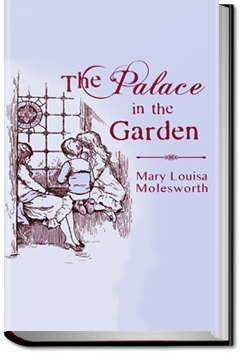 The Palace in the Garden is the engaging story of three orphans sent to live in the mysterious country cottage of Rosebuds. The inquisitive children piece together the unexpected mystery of the Palace in the garden & all that goes with it. The story has a few twists. This book put me in mind of the Secret Garden. This entry was posted in Reading on September 23, 2016 by all-you-can-books. Penny Parker is a teen-aged sleuth and amateur reporter who has an uncanny knack for uncovering and solving unusual, sometimes bizarre mysteries. The only daughter of widower Anthony Parker, publisher of the “Riverview Star,” Penny has been raised to be self-sufficient, outspoken, innovative, and extraordinarily tenacious. Her cheerful, chatty manner belies a shrewd and keenly observant mind. Penny was the creation of Mildred A. Wirt, who was also the author of the original Nancy Drew series (under the pseudonym Carolyn Keene). Wirt became frustrated when she was pushed to “tone down” Nancy Drew and make her less independent and daring. With Penny Parker, Wirt had a freer hand and received full credit. Wirt once said, ” ‘I always thought Penny Parker was a better Nancy Drew than Nancy is.” In “The Clock Strikes Thirteen,” Penny is confronted by two mysteries that ultimately converge. First there is the odd extra chime from the Hubell Clock Tower at midnight and the inexplicable replacement of the dedicated old clock tower caretaker by a shiftless friend of a real estate developer. Then there is a series of terrorizing attacks of local farmers, including a barn burning. The attacks appear to be the work of a band of thugs known as the “Night Riders.” With the help of her friend Louise, Penny works to solve the dual mystery before an another attack and to save an innocent man from jail. This entry was posted in Reading on September 20, 2016 by all-you-can-books. 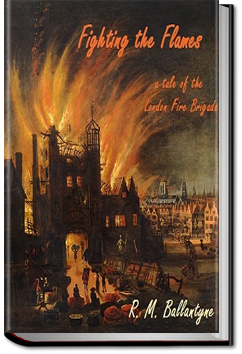 Frank Willders is a brave young member of the London Fire Brigade – Willie is his mischievous but helpful younger brother. The two of them encounter a cast of unforgettable characters as Frank and his companions perform heroic rescues and fight the never-ending battle against the flames. Meanwhile the mysterious and sinister Gorman is hatching dark plots, lovely Emma Ward has set Willie’s heart on fire, and Mrs. Denman can’t forgive the courageous fireman who carried her out of a burning building in her nightclothes! All these and more come together in a rousing adventure and inspiring story you won’t soon forget. This entry was posted in Reading on September 17, 2016 by all-you-can-books. PENNY PARKER is a teen-aged sleuth and amateur reporter with an uncanny knack for uncovering and solving unusual, sometimes bizarre mysteries. The only daughter of widower Anthony Parker, publisher of the “Riverview Star,” Penny has been raised to be self-sufficient, outspoken, innovative, and extraordinarily tenacious. Her cheerful, chatty manner belies a shrewd and keenly observant mind. 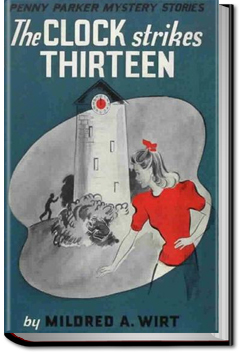 Penny was the creation of Mildred A. Wirt, who was also the author of the original Nancy Drew series (under the pseudonym Carolyn Keene). Wirt became frustrated when she was pushed to “tone down” Nancy Drew and make her less independent and daring. With Penny Parker, Wirt had a freer hand and received full credit. 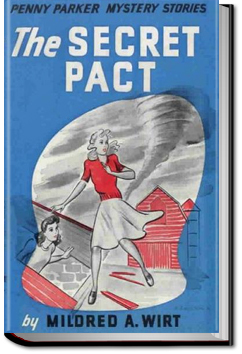 Wirt once said, ” ‘I always thought Penny Parker was a better Nancy Drew than Nancy is.” In THE SECRET PACT, Penny sees a man savagely pushed off a bridge into the river one foggy night. The man is rescued, but his stubborn denial of the attack, combined with the grotesque octopus tattoo he bears on his back, alerts Penny to the possibility of a deeper mystery. When her editor father, reporter friends, and even the high school newspaper all reject her story about the incident, she takes matters into her own hands. With her friend Louise’s help, Penny starts her own local paper, operating out of a formerly abandoned newspaper plant. As new clues emerge to the “Octopus tattoo” mystery, she enlists the help of anyone willing, even persuading Mrs. Weems to go “under cover.” Nothing, not even threats and an unexpected tornado, can deter the determined Miss. Parker. This entry was posted in Reading on September 13, 2016 by all-you-can-books.